As you’ve likely heard, a meteor landed on Earth last Friday. As I write this, people in Russia and Kazakhstan are dealing with the bizarre aftermath of this otherworldly event, a stark reminder of the fragility of the planet we live on. For decades to come, Russian and Kazak kids will perhaps revel in hunting for meteorites, relics of this disturbing albeit natural incident. It is only natural for human beings to take an interest in collecting tokens of matter that have fallen from the sky, real and tangible pieces of natural history. However, what happens when our fragile planet is marked not only by out of orbit incidences, but by what we do to our planet ourselves? What about the relics that get left behind from our experiments? And not only what happens with them, but what can they teach us about the past and about where we’re headed? Enter the field of Aviation Archaeology, a fascinating emerging field of study exploring the connection between land and sky, and how aviation experiments from the past have impacted and been documented in the planet’s landscape. The Center for Land Use Interpretation (CLUI), a self-ascribed “research organization involved in exploring, examining, and understanding land and landscape issues”, is making a public display of Aviation Archaeology’s findings in their most recent exhibition, Down to Earth: Experimental Aircraft Crash Sites of the Mojave, taking place in Los Angeles, CA. CLUI is a champion of questioning and documenting the United States’ terrain. They look at the landscape of the country and dissect it. They take forgotten fields and locations and make them known. They investigate the bizarre places that we, as humans, have altered, and make them part of the American landscape. They are creating a map for the seen and unseen oddities of this transforming planet, a map of human impact on Earth, in our country. CLUI’s mission and how they execute it is nothing short of a wonder. Their website’s incredibly interactive Land Use Database is just one example of how they effectively educate the public of their work in ways that are at once creative, engaging and historical. Supporting them felt so important to us because we had never heard of anything like it. They’ve taken on the arduous task of being archivists in ways that few others are. They are also the point at which independent historians and archeologists (like Peter W. Merlin, described below) can converge to share their unique work. As we continue to need to ask the questions about what we’re doing to our planet, why we are doing it, and what the consequences will be, CLUI is helping us find these vital and obscure answers. Below, Matthew Coolidge (Director, CLUI) writes about the Down to Earth exhibit, and teaches us why Aviation Archaeology is an important field to pay attention to. The Center for Land Use Interpretation addresses a wide range of topics. Since all human activity plays out on (or over, or under) the ground, everything humans do can be considered from a “land use” perspective, if you consider the term very literally, as we do. From this infinity of possibilities, we select themes to explore through our programming based on a number of criteria, some objective, some maybe less so, but always because they seem relevant to the conditions and times we are in, as a society, today. They often deal with the technologies of the modern world that sustain our way of life, and examine their effects on the land, culture, and collective psyche, hopefully revealing new perspectives and notions about things we take for granted, or do not think about much at all. Aerospace, and the “sky/land” interface, is one of a few dozen recurring subjects for us, since its direct and indirect impacts are one of the dominant features of contemporary life in a global world. It’s a technology that can seem abstract and esoteric, so we often try to bring it “down to earth,” as they say, to address it by finding actual, physical places, which can be visited, that can be “ground truthed,” to tell the story. And we try and find new and unusual ways in to a subject, often by finding experts in the field who are driven more by passion, then by economics. 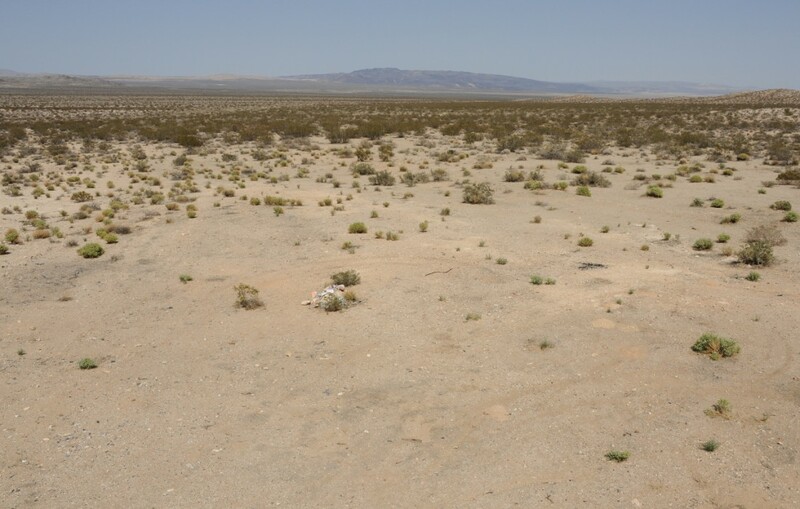 Crash sites are usually remote, and sometimes have an area that is noticeably bare, like this one, near Harper Dry Lake, west of Barstow, California, where a supersonic B-1 bomber prototype crashed in 1984. CLUI photo, 2012. Since the “Right Stuff”- era, Edwards Air Force Base, north of Los Angeles, has been the principal place for testing experimental aircraft. As a result, the landscape around it is peppered with crash sites – more than 600 in the western Mojave Desert alone. While many of them occurred inside restricted military spaces, many more occurred on private and public land outside the reservations. Some crashes occurred next to homes, and state highways. Sometimes the pilot ejected safely, sometimes not. These are complicated and often tragic places. In all cases though, despite having been cleaned up by authorities immediately following the crash, fragments of the planes can still be found on site. They are monuments of disintegration, dissolving back into the ground. The exhibit has been something we have been wanting to do for over a decade. It is based on the work of Peter W. Merlin, someone who I met in the mid 1990s, when I was working on an exhibition about the Nellis Range in Nevada, and a book about the Nevada Test Site. Though still quite young, Peter was already well on his way to becoming one of the nation’s experts on exotic aircraft development, and failure, and the history of the most secure aviation test site in the nation, popularly known as Area 51, located inside the Nellis Range. Even then he was one of the go-to guys for Discovery Channel producers to interview about what was “really” going on inside this notoriously secret place. The thing was, he knew about that place as well as anybody who wasn’t sworn to secrecy, so he could talk about it. And he found out by sleuthing through non-classified sources. Unlike most people who were drawn to that place though, it wasn’t the conspiratorial secrecy and the UFO theories that motivated him, it was a fascination with aircraft, and the missing chapters of aviation history that these secret test sites concealed. While access to the site and to official records was largely out of the question then, he found that visitation to crash sites outside the restricted areas was possible and provided material evidence of what landed there. Over the past 25 years, he, often aided by his friend Tony Moore and others, has located and visited more than 100 crash sites of historic aircraft, flown out of Area 51, and Edwards Air Force Base. In nearly every case he was told the site was “lost” and that everything had been removed anyways, so there was no point in trying to find it. But he found them, using clues from interviews with pilots, FOIA requests, and research in archives. Mostly though by days of repeated searches in the field, wandering around, lining up historic photos with subtle geographic features, like hills the distance, or small desert washes, while looking at the ground for incongruous fragments. There is an established subculture of wreck-finders, some of whom publish books on small presses, and blog about their discoveries on the web. Pat Macha, for example, has been leading excursions into the mountains and deserts of California to find wreckage, mostly of civilian and old military training aircraft, for decades. Pete is not only interested in trophy hunting, and the personal thrill of discovery, though that is no doubt a factor – his backyard in Palmdale has a shed full of carefully bagged and logged pieces of hundreds of planes, including U2s, Blackbirds, and Russian Mig’s – a fragmentary history of aviation indeed. The best pieces he finds though go to museums, such as the Air Force Flight Test Center Museum at Edwards, where his partner, Tony Moore, now works. 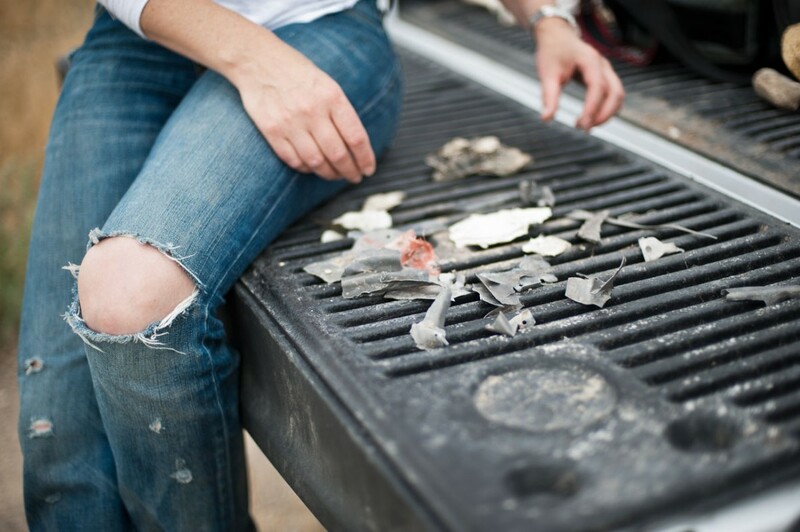 Titanium fragments of an A-12 “Oxcart,” found by members of the CLUI at a crash site near Wendover, Utah, in 2011. The Oxcart, one of the most advanced aircraft ever made, was a flying camera, built by the CIA to replace the U2, and flown out of “Area 51” between 1962 and 1968. It was later developed into the more familiar SR-71 Blackbird. This crash occurred on public land, in 1963, when the plane’s existence was still a closely-guarded secret. Pete, who met Tony while he was working as a baggage handler at Burbank Airport, also works on base now, as one of two archivists and historians at NASA’s Dryden Flight Research Center, still the nation’s leading location for experimental aircraft testing. He is now a respected member of the aviation history community. He is a great example of how impassioned “amateurs” are often the experts, especially on subjects that lie beyond the well-worn paths, and the confines of academia. And his books: X-Plane Crashes – Exploring Experimental, Rocket Plane and Spycraft Incidents, Accidents and Crash Sites (Specialty Press, 2008), Breaking the Mishap Chain: Human Factors Lessons Learned from Aerospace Accidents and Incidents in Research, Flight Test, and Development, (NASA, 2012), and Crash Course: Lessons Learned from Accidents Involving Remotely Piloted and Autonomous Aircraft (NASA, 2013).